What a great way to kick off the Fourth of July holiday for most of us. (I'll explain later.) 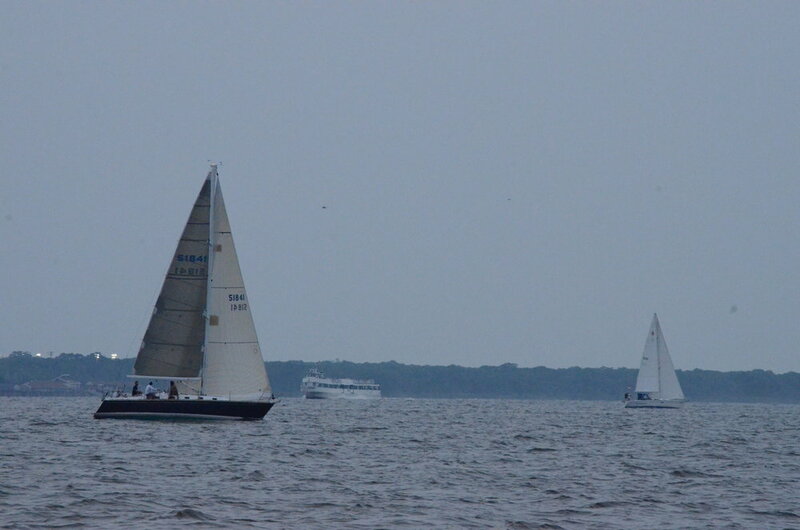 It was nice to see thirteen boats out racing just before the busy holiday. The southwest wind allowed us to run course #10. 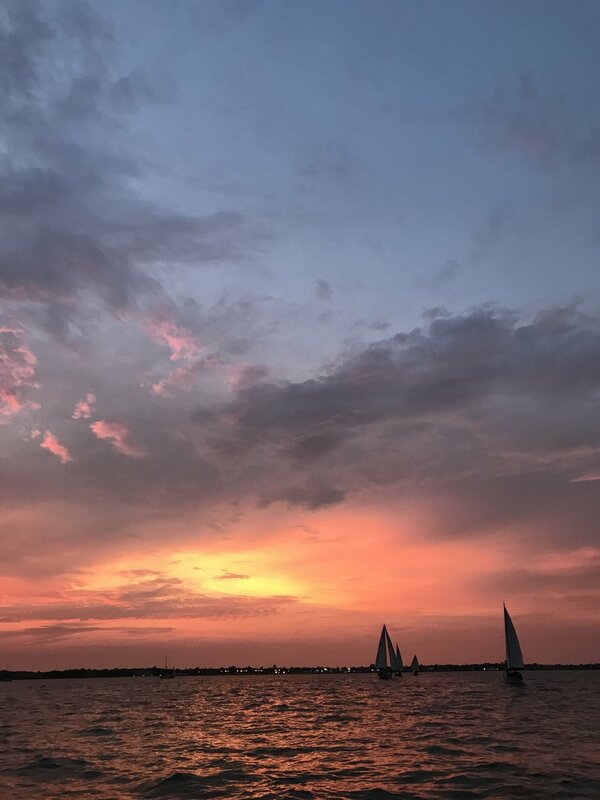 (start, 6, 11, 10, finish) We haven't seen the prevailing SW winds for many weeks and it was a such a pleasure to sail the long beat to buoy #6 tonight. 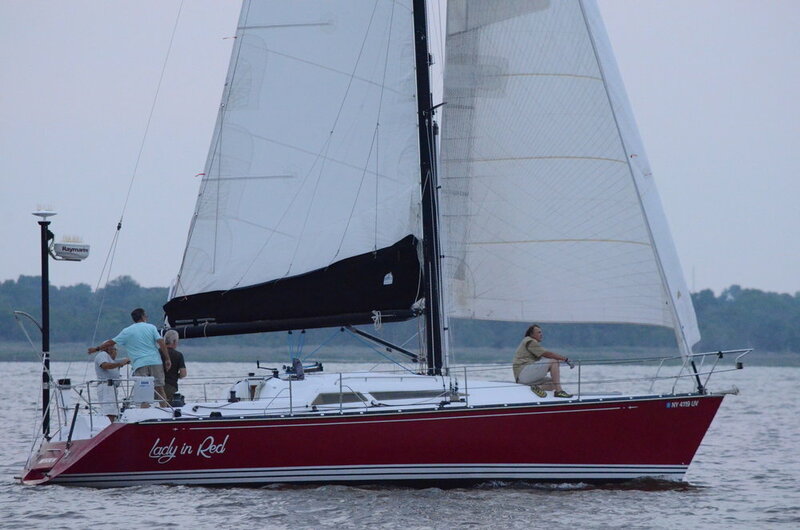 After Lady in Red crossed the finish line tonight, my crew and I turned our attention to the boats behind us. 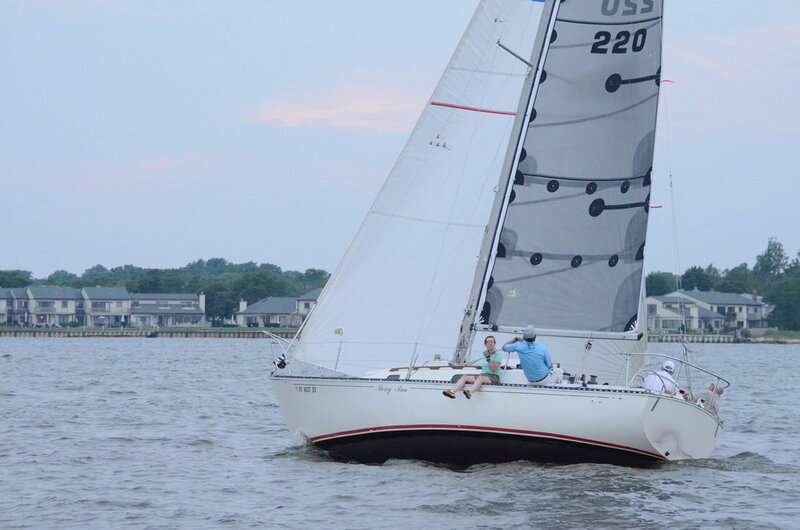 We noticed that the Rhodes 22 (JV Phillips) was approaching the finish line in third place. 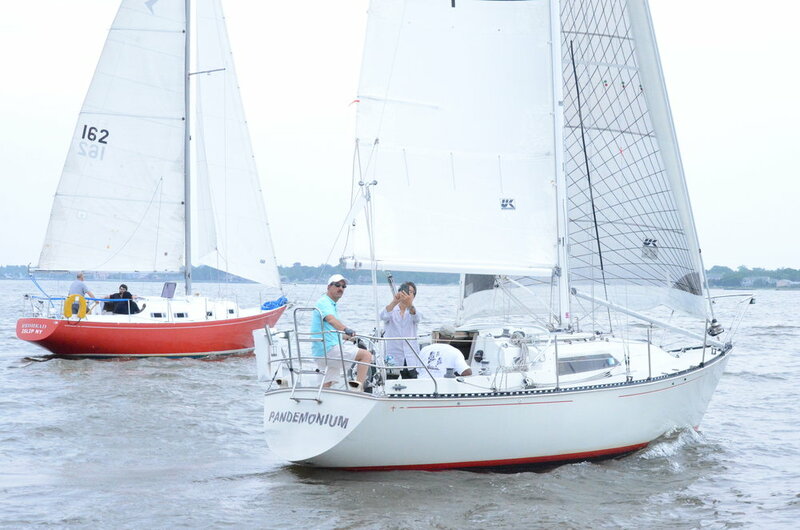 They had just sailed one of their best races ever. Fact #1. JV Phillips, the owner of the Rhodes 22, was not on board tonight. He had a previous obligation that prevented him from racing. His dedicated crew raced the boat without him. Fact #2. 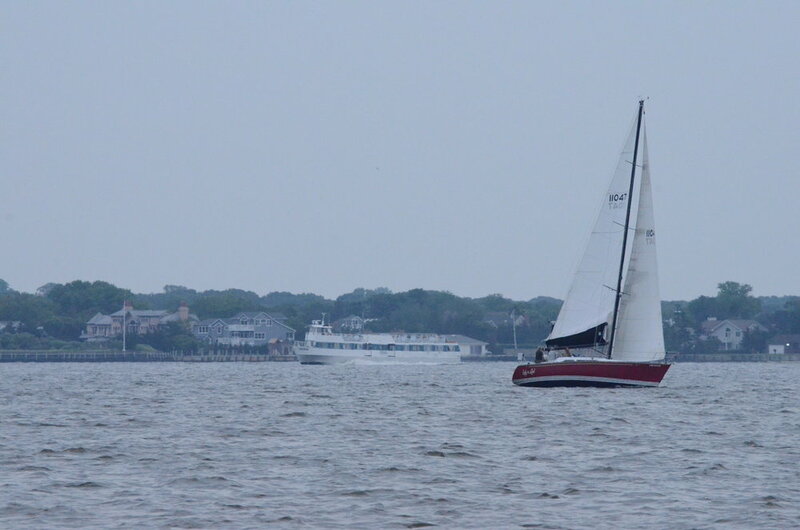 They were approaching the finish line well ahead of the 4th place boat. but were on the wrong side of the finish buoy. It was suppose to be passed leaving it to port, not to starboard. We thought they would alter their course before finishing but that didn't happen. Fact #3. 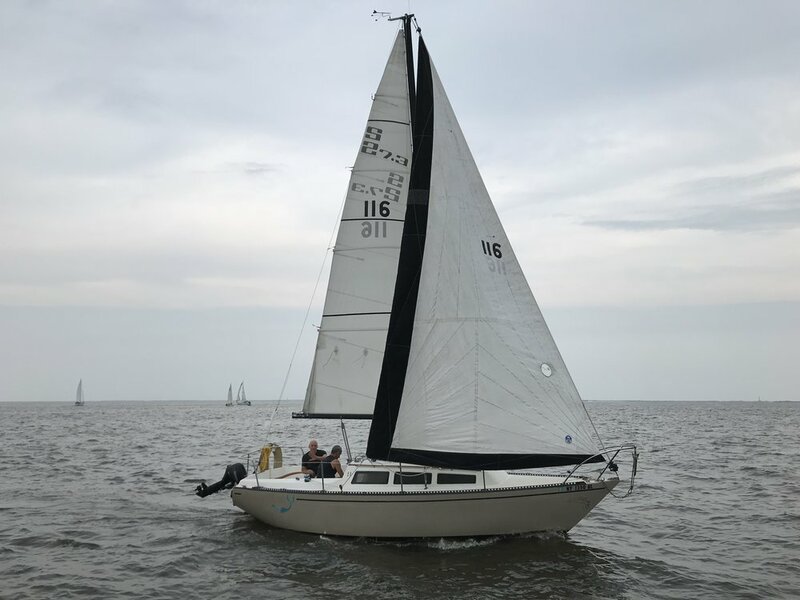 Their third place finish ended up being a DNF (Did Not Finish) because they did not pass the finish buoy on the correct side. Fact #4. 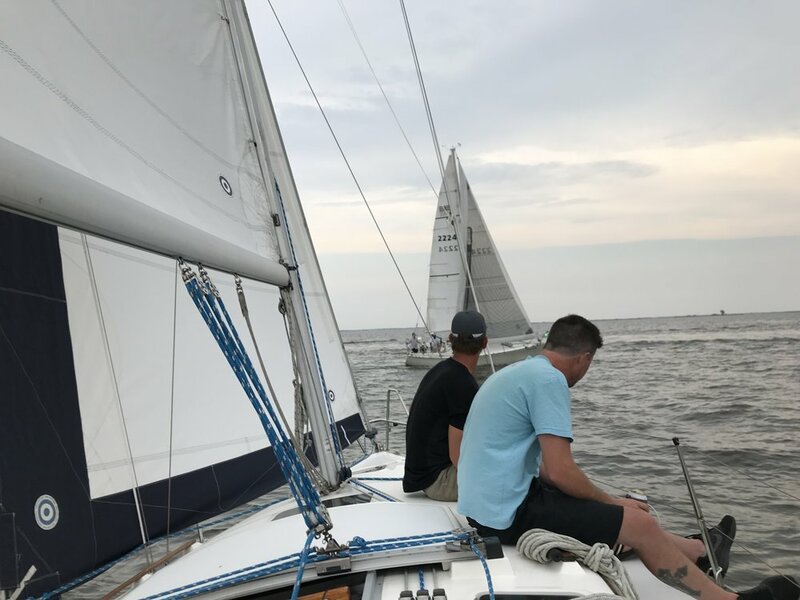 At the after race get together, we learned that they sailed the wrong course. They were still scored a DNF. 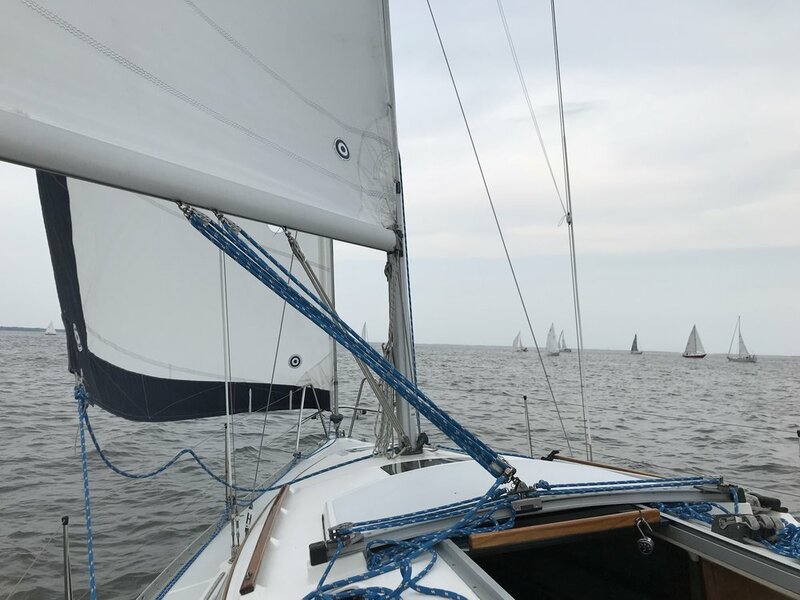 They sailed course #4 instead of #10. I can't believe that nobody in the fleet noticed this. I might try that tactical maneuver myself next week! Fact #5. Fact #3 is actually wrong. 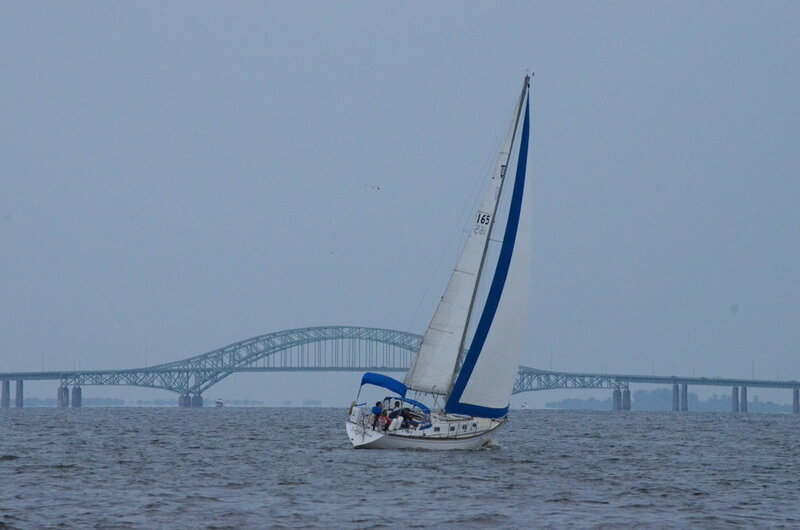 Although they sailed the wrong course, they finished racing the wrong course correctly. Fact #6. 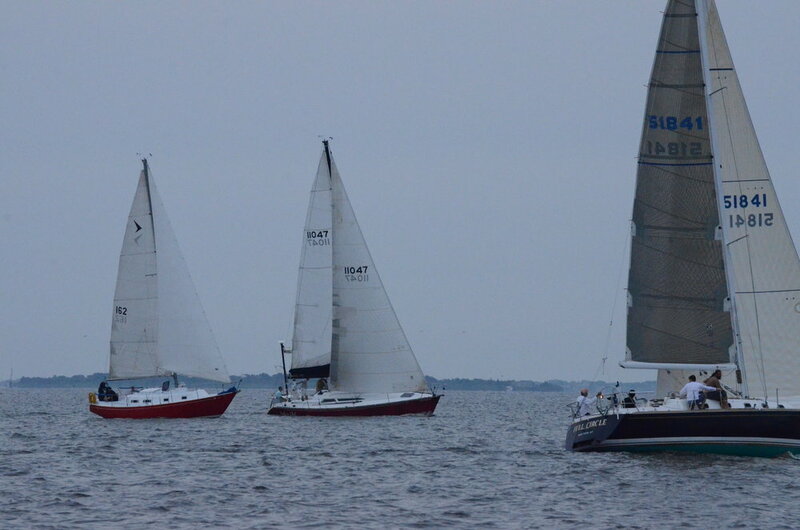 The course is announced on VHF channel 72 about 10 minutes before the racing starts. Always keep your VHF radio on to find out what course to race because sometimes we make changes. Fact #7. They still had fun. Lesson Learned. Stuff happens and it certainly happens to all of us sooner or later. Just an observation: I've noticed a lot more seaweed on the bay this week. It will really slow you down when you snag a clump of it. Thank you Frank for being the committee boat tonight. We found Snoopy! 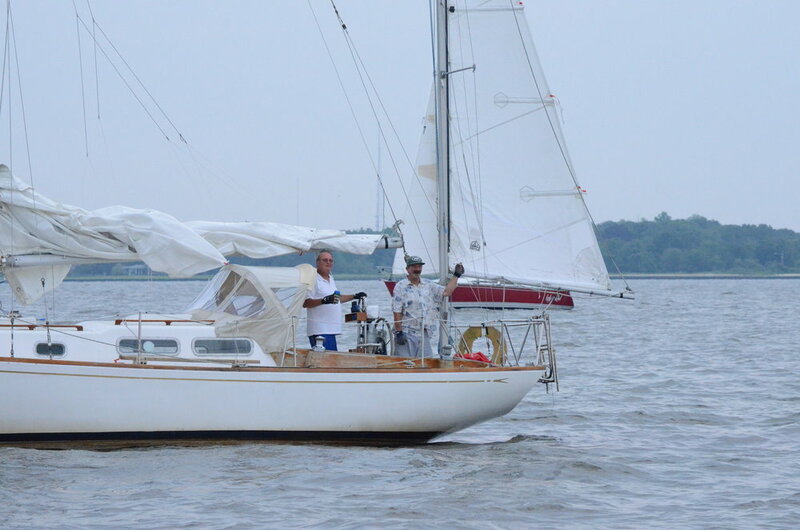 Thank you Terri for enabling my racing habit and passion for sailing. Encouraging me to play with my friends on our 42nd wedding anniversary was better than the card. I owe you..... again! As usual, the after race get together had more food than we could possibly eat in one night. 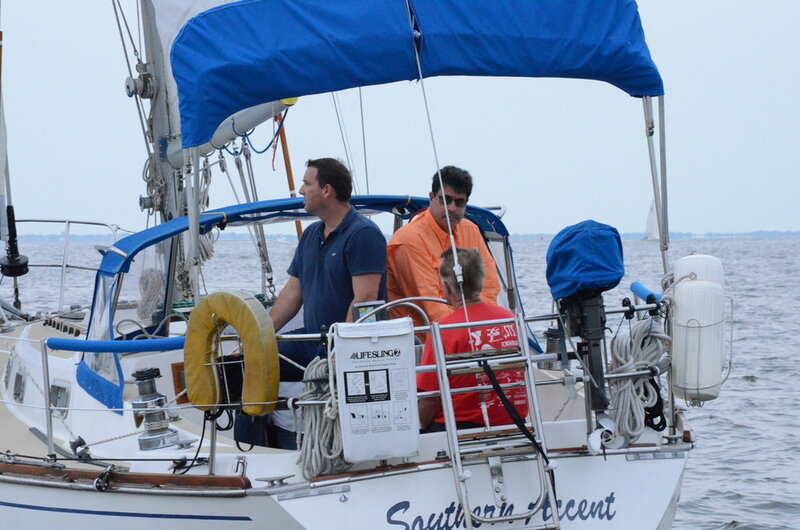 It was great to meet some new racers and to put faces to the boats that they sail on. Thanks for joining us last night. Hope to see you all again next week.